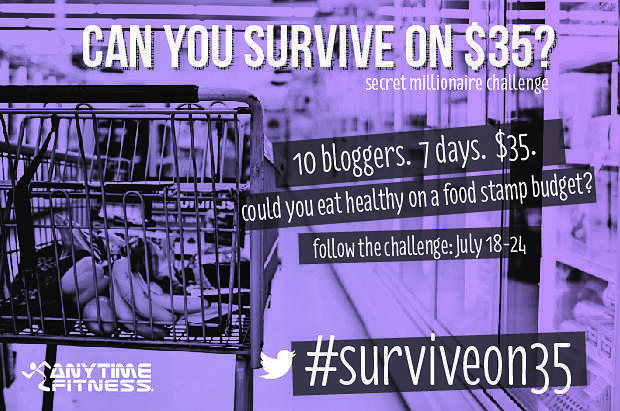 Today’s the official kickoff of the #surviveon35 challenge! I spent $56.87. My plan was to spend about $60 and have $10 leftover if I wanted to buy a few things over the weekend to make the last few meals. Looks like I’m off to a good start! Be sure to come back tomorrow! I’m gonna show you guys my meal-planning strategy, talk about how I compared prices and then had to adjust my menu, and discuss my shopping trip! I’ll also show you all of the prep work I did in the kitchen last night to make it easy to throw meals together during the week! It’s been ages since I did one of these so I have lots to catch you guys up on! 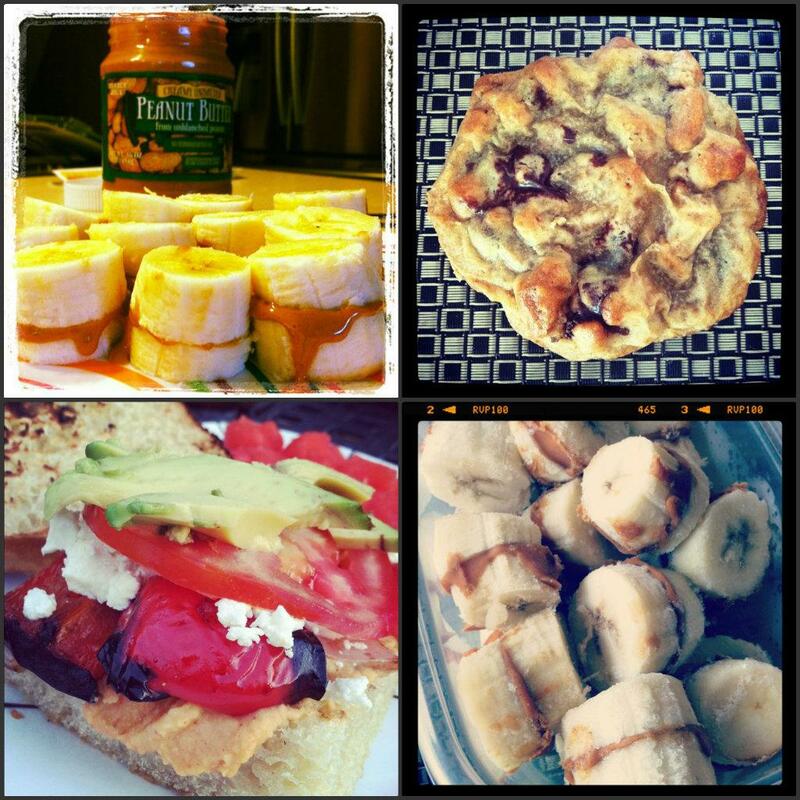 I’ve been eating lots of tasty stuff that hasn’t made it onto the blog! 1. Snackfest with Marcus after we got back from Hawaii. 1. Combined Amy’s low-sodium lentil veggie soup with brown rice. Added spices and avocado to give it my own twist! 1. & 4. Fun snack. Slice banana. Spread pb between 2 slices. 2. AMAZING cookies my Foodie Penpal sent me. Whew! So now we’re all caught up I think! Hmmm…interesting concept. I look forward to hearing how it goes and how I can hopefully pick up a few good money saving grocery tips. I’m definitely feeling a financial pinch right now and am looking for a few tricks to save a few pennies here and there. it all adds up! Your WIAW pics are making me hungry! I will definitely be trying those frozen yoghurt bites and the veggie curry! Thanks. oooh those are two good ones! enjoy! The challenge sounds really interesting! I’d love to give it a try. I’m pretty good at keeping my food budget low. I should challenge myself. Think I’ll do that when I get back from vacation. Happy WIAW! And as always, your eats look amazing! I can’t wait to read about your challenge! Wow girl – I need to bookmark this post for when I’m feeling uninspired (like I was yesterday). Can’t wait to see what you come up with for your “cheap” eats! haha he likes to be in the middle of things! I’m so excited to see what you come up with for this challenge! Such a great idea! Nicely done!! That’s alot of food on a budget!! Can’t wait to see what fabulous things your cooking!! I’m featuring a giveaway today for the probiotic products from Good Belly and I think your reader’s would love!! Check it out if you have a sec!! 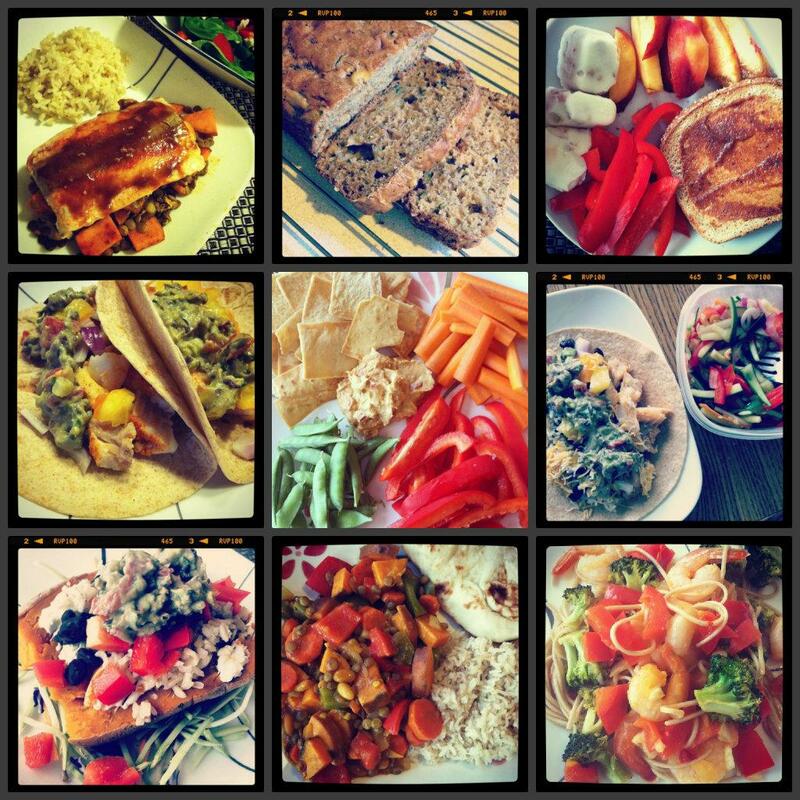 Your eats always look so good and colorful! Oh my gosh, will you come cook for me?! All your eats look great! The food stamp budget concept is very interesting. I think I’d personally have a tough time sticking to it but I’d like to try it sometime! 🙂 i would love to come cook for you! I just saw the guys from Anytime Fitness on “Secret Millionaire” – very moving episode. I cannot wait to see the results of this challenge – I spend WAY too much on groceries and I suspect it’s because I don’t plan well. yay! hopefully you’ll pick up some tips! I’ll have to look into that challenge. 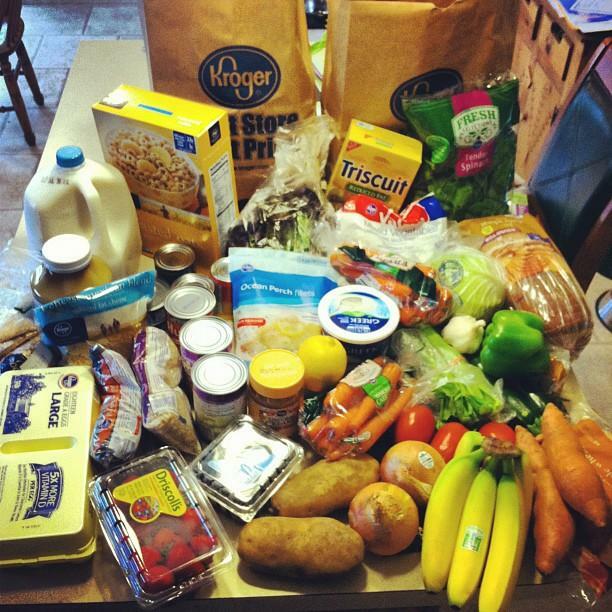 I think we kinda follow that already, for two of us we usually spend between $50-$70 a week in groceries. that’s impressive, girl! great job! I can’t wait to read about your meal planning for this challenge!! I’m not so good at saving money at the grocery store so I can’t wait to hear your tips! wow – i’m impressed that you bought so much with your $56! random question – do you know if the SNAP budget is different for different states? 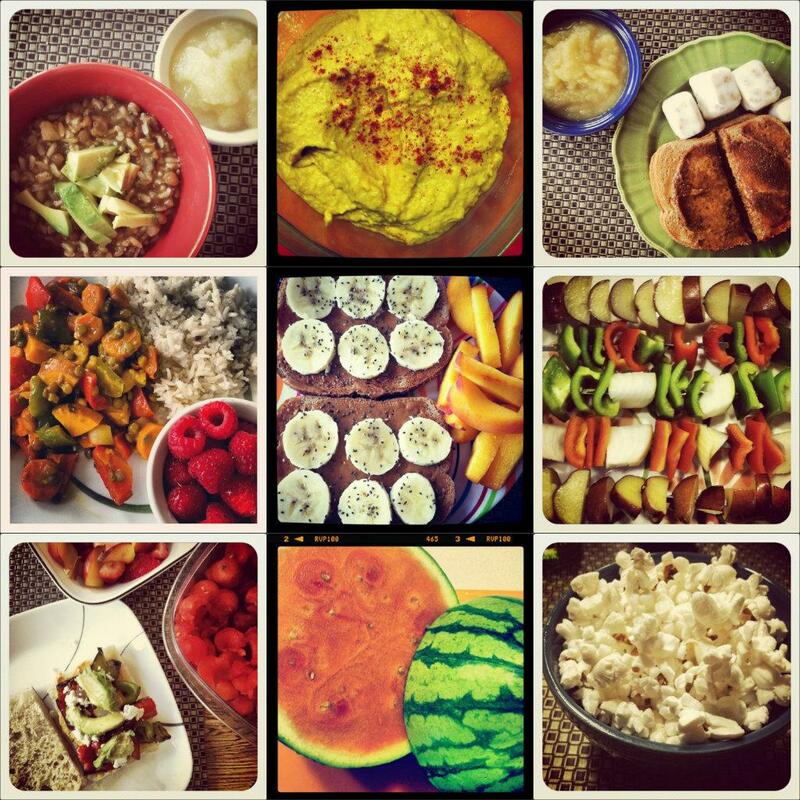 emily from a nutritionist eats did this last week, but she’s in california. i know prices very according to region, so it would make sense that people on SNAP in california would get more money to spend that people in wisconsin or ohio where prices are lower…. i do believe it’s different from state to state. I guess for this challenge they just picked one amount so i think it might be more than some people would actually get and less than others would actually get. not totally sure though. All of your food looks incredible! What a great challenge! I’m excited to see what you come up with!! I seriously love this idea! And I’m sad I didn’t know about the challenge before. We try to stick within this range but haven’t been super awesome lately with extras. This would make me clamp back down on my budget. you should try it! doesn’t have to be done this week!! I <3 Kroger! Can't wait to keep up with you on the Survive on 35 challenge! As a grad student, I'm on a major budget, so I'm curious to see how it goes for you! Also… I want to eat all your food haha. 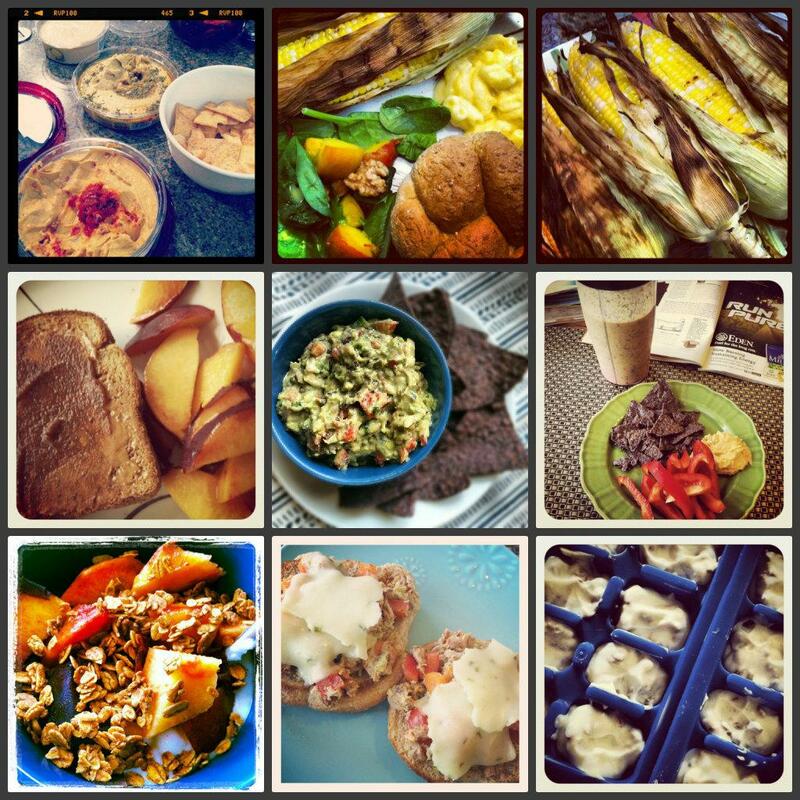 Your WIAW pics look amazing, so delicious! Cannot wait to see how you get on with the challenge! So curious to see how this all works out for you!! Looks like you’re off to a great start. Wow Lindsay, that’s amazing! I think I’m going to have to copy a few of these meal ideas for next week. Your food always looks so stinking good!! 🙂 Good job on the grocery shopping!! Haha there is no way I could spend 35 a week. I already spend about 25 on just Kombucha! I just received my foodie box today from my penpal: Allison Levine. She packed many GREAT & fun & yummy foods for me & I can’t wait to try a couple I’ve never had before. Lemon Ginger macaroons (delicious, had to try already). Love this & can’t wait for next month! awesome! sounds like some great stuff!! Everything looks so yummy! And I can’t wait to read more about this challenge. What a great idea! I’m looking forward to this challenge. I could definitely use some money saving tips. I’m horrible with spending a ton on food. I want to eat all of your pictures. Delicious. i spend a lot on food too. hope this gives you some new ideas! I love your $35 challenge- very cool…and you went to Hawaii?! 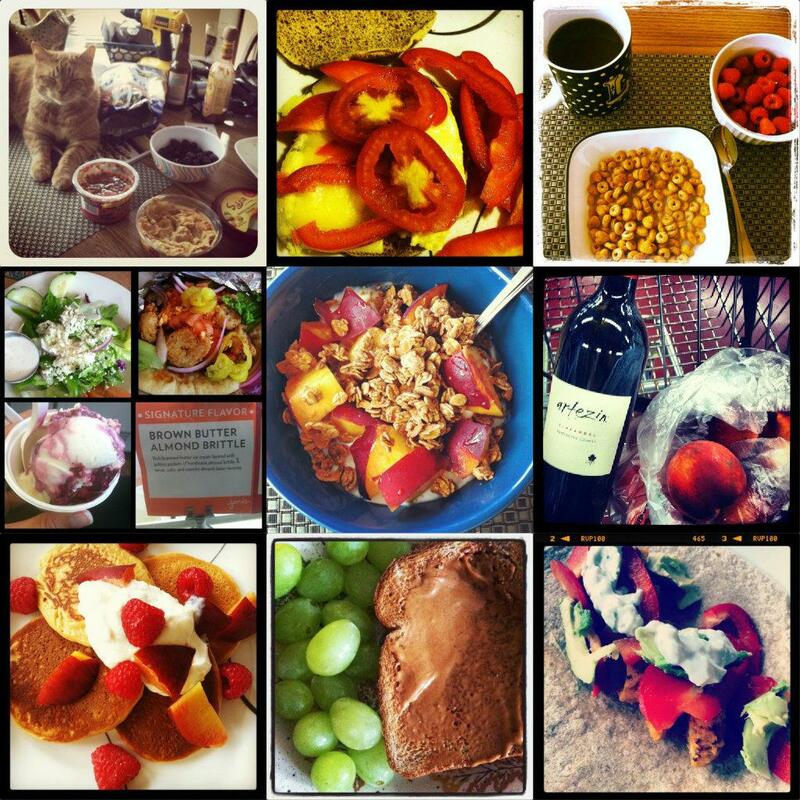 I am going to have to check through to see if you have an posts on that…I like how you arranged your food collages too! Cheers from WIAW! yep! i did a couple of recap posts. we had a great time there!! I definitally want to give this a try next week. I’m on a tight budget and want to see how I do on this! awesome!!! good luck to you! Can’t wait to see how the challenge goes. Love your eats! A little overwhelming to see all the yummies you have been eating! I did spot the black bean guacamole. I made a version of black bean dip that was inspired by how I make guacamole. : ) I love the idea of trying to live on a food stamp budget. This past week I determined I was not going to spend more than $20 on groceries, instead getting a few fresh foods to go with the food in the cupboard and freezer. I made it 4 days and only had $1 left! i think it’s great that you’re making the effort!! keep it up. You can make a lot with the food you’ve stored up in the freezer and cupboards!